Devi Vimala's temple within the Puri Jagannath temple complex is known to be a Sati-pith. 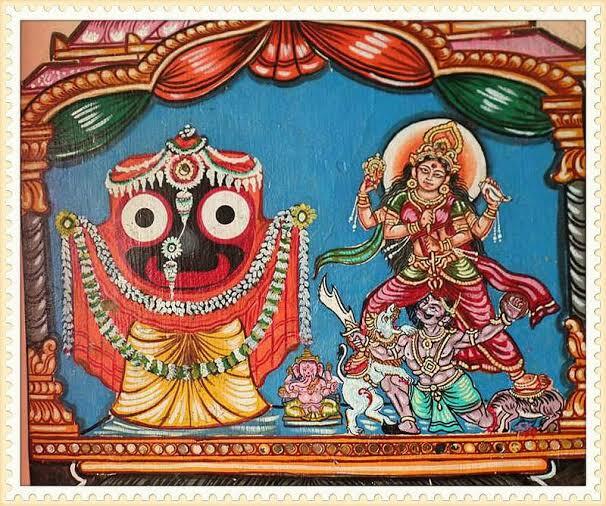 Lord Jagannath is the Bhairava of Devi Vimala. Jagannath temple is perhaps the only temple where the main deity is worshipped as Vishnu, while animal sacrifice takes place within the temple complex in presence of Sri Durga-madhava, a representative of Jagannathdev. Which temple was first constructed--of Devi Vimala or Lord Jagannath? It is not natural that some body part of Devi Sati would fall exactly beside Sri Jagannath temple by the way. Can anyone throw light on this? Please cite proper sources.Thanks. Browse other questions tagged temple jagan-natha .